Floors should have sufficient support to prevent them from sagging. But, the foundation where the floor rests might not be the only reason why the floor is sagging. There can be different causes why your floor is not level. It is important to know what these causes are so that you can hire a repair service company that will be able to do proper repairs. Knowing what possible causes are will also help you determine the sagging floor repair cost. Since you are familiar with the possible causes why your floor is sagging, you can allot enough money for the repair costs. 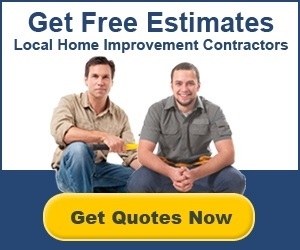 This will make things easier on you since you won’t be surprised when you find out how much the estimate from professional floor repair contractors are. It will also allow you to opt for alternatives that can lower the overall cost of the project without compromising the quality of repairs that your floor will receive. Listed below are some of the most common reasons why floors sag. You can use these as a guide to help you with the hiring process of the floor repair service and the managing of your budget for the repair. Issues on the foundation of the house. The foundation of the house is the one that holds everything together. The floor is installed on the beams and joists of the foundation, which ensures that the floor will stay up and in a level position. A sagging floor might be caused by problems on the foundation such as the size of the foundation itself is not sufficient to the weight of the floor and the other parts of the house. You need to hire a floor repair service expert that is also proficient in repairing foundation issues. Foundation repair can easily cost you $8,000 for an average flooring size. This does not include other issues like water damage, which you might want to expect when having your floor repaired. If there are other causes to the sagging of the flooring, aside from a faulty foundation, the average cost will also go higher. Repair professionals will give you a quote on how much such a project would cost so it is ideal to learn more about other causes to enable you to determine which estimates are the most accurate. Improper building of the foundation and framing of the house. Lack of skill in building a good foundation will cause the floor to sag in no time. The weight of the flooring should be considered when building the foundation to ensure that it can be endured by the foundation itself. If your foundation is too weak, you need to have it reinforced or rebuilt. This can easily cost you about $10,000 to update your home’s foundation and fix the problem with your floor. One of the most noticeable signs of a faulty foundation installation is uneven flooring. Some parts of the floor will sag while others will remain even and some will even rise. This is not only unappealing but can also cause accidents and tripping. Hence, it is ideal to have this repaired as soon as you notice the problem. A subfloor problem can also cause the floor to sag. If the subfloor is not supporting the flooring materials installed on top of it, the flooring can sag and cause the floor to be uneven. Repairing the subfloor will often correct the problem if there are no more problems with the foundation or joists. Repairing the subfloor will often cause around $35 per square foot. Since the flooring should be removed before the subfloor is exposed and repaired, the repair service will cost more than a simple installation. The flooring should also be replaced, which is additional work to the employees. Hence, expect to pay a higher price, especially if the flooring is not easy to remove and re-install. Joists and posts support the flooring. Hence, checking these when your floor is sagging is one of the first things that you can do to easily detect the cause of the problem. This would be easier if the joists underneath are exposed on the basement. Otherwise, you would need to hire professionals to remove the flooring and subflooring and ensure that the joists are intact. Replacing joists and posts will roughly cost about $100 to $300 per joist. Typically, joist repair projects cost about $1,000 to $3,000. Of course, the overall cost of the repair will depend on the extent of damage and the other problems that will be seen on the flooring itself. Flooring is past its lifespan. Another cause that you might not easily notice when your floor is sagging is the lifespan of the floor itself. Floors, depending on the materials used in building it, might not last a lifetime. This will cause the floor to sag over time. If you have bought an old house, you need to check with the previous owner how long has the floor been built. This will help you determine if the flooring materials are already past their lifespan. It will also help you determine which parts should be replaced such as the flooring, the subfloor or the joists. The cost of replacing your old flooring and repairing certain problems will depend on the types of materials used in the flooring installation. Replacing a flooring will cost you anywhere from $600 to $6,000, depending on the size of the floor and the type of flooring materials used in the project. Additional work such as reinforcing joists can also cost you more. Repairing sagging floors is a lot of work, especially if the framing of the house is involved. But, having it fixed early on will minimize the work and the cost of the repairs. Hence, make it a point to have your floor checked once you see that it is sagging and there are uneven spots. This will prevent accidents from occurring and the repair will be minimized. When you’ve realized that your floor is starting to sag, the easiest course of action is to fill out the form at the top of this page and we’ll help you get in touch with the most relevant contractors near you that are then able to provide you with free estimates and quotes for the project.